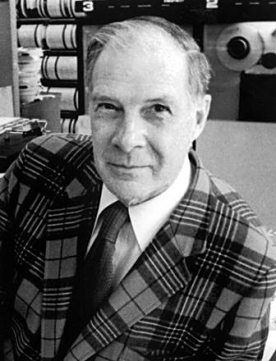 In the late 1940s, Richard Hamming, working at Bell Labs, was exasperated with the high level of errors occurring in the electro-mechanical computing equipment he was using. Punched card machines were constantly misreading, forcing him to restart his programs. He decided to do something about it. This was when error-correcting codes were invented. A simple way to detect errors is to send a message twice. If both versions agree, they are probably correct; if not, there is an error somewhere. But the discrepancy gives us no clue where the error lies. Sensing the message three times is better: if two versions agree, we assume they are correct and ignore the third version. But there is a serious overhead: the total data transmitted is three times the data volume; the information factor is 1/3. Puzzle: However fast a train is travelling, part of it is moving backwards. Which part? For the answer, see the end of this post. Hans Holbein the Younger, court painter during the reign of Henry VIII, produced some spectacular works. Amongst the most celebrated is a double portrait of Jean de Dinteville, French Ambassador to Henry’s court, and Georges de Selve, Bishop of Lavaur. 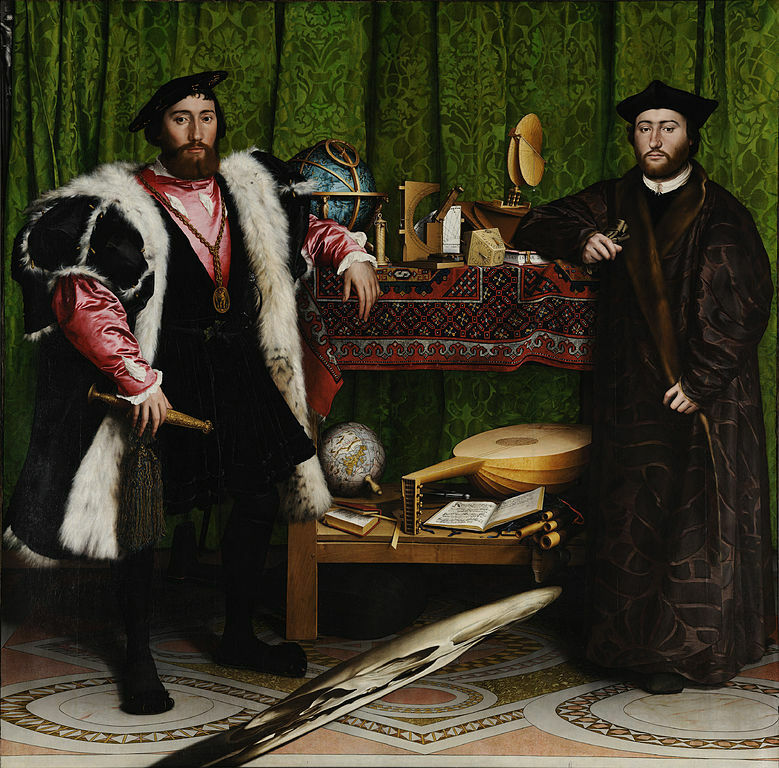 Painted by Holbein in 1533, the picture, known as The Ambassadors, hangs in the National Gallery, London. 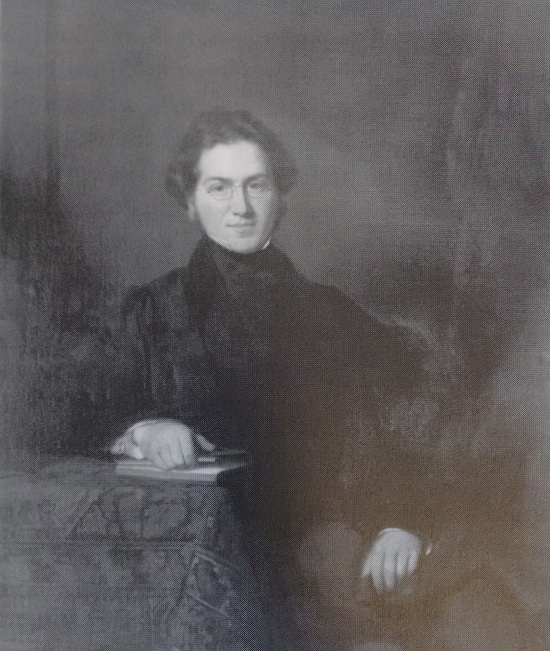 James Joseph Sylvester (1814-1897) as a graduate of Trinity College Dublin. Sylvester’s mathematical talents became evident at an early age. He entered Cambridge in 1831, aged just seventeen and came second in the notorious examinations known as the Mathematical Tripos; the man who beat him achieved nothing further in mathematics!